TRAVEL WITH LUXURY! 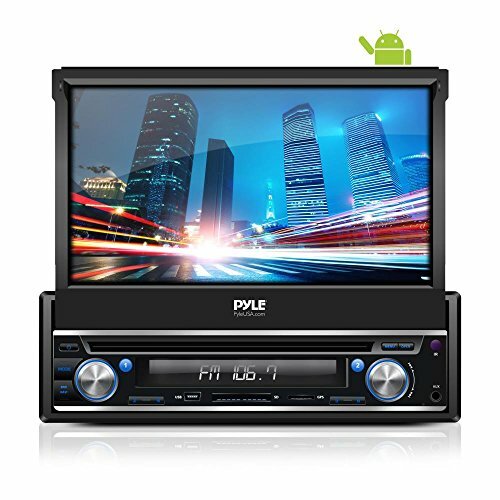 - With this excellent quality Single-Din dashboard stereo entertainment system that lets you make phone calls, stream music with Bluetooth even, and watch videos. No more getting lost on the road thanks to the built-in GPS. The Audio Aux (RCA) Input/Output Connector Jacks, the Video Aux (RCA) Input Connector Jack and the Rearview Backup Camera Support give you limitless versatility! GPS NAVIGATION: Drive Safe & Smart: Helps Keep Your Eyes on the Road! Touch Screen Control Interface - Talking Turn-by-Turn Voice Direction Assistance - Integrated Google Maps Navigation Software - Visual Map Guidance & Statistics Display - Can work with Waze - NOTE: GPS only works on wifi.